Well as promised here are the girls of the Wizard World 2014 Minneapolis Comic Con. Enjoy and see more from the convention here! Most people didn’t mind getting into character. Here’s Supergirl and her trashy friend 😉 I could be wrong but I think they liked the attention. Here’s a kitty costume. If anybody knows what characters these are drop a line in the comments please. And finally you may be wondering why there’s a dude in this. Well there’s actually a girl in a Where’s Waldo costume. I’ll wait till you find her….okay didn’t take too long. Apparently Waldo couldn’t find her pants either. Oh and who knew that Waldo and Freddy Krueger in the back dress nearly exactly alike? 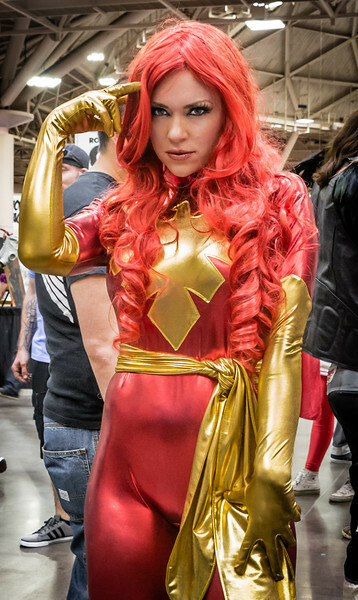 For more girls and seriously awesome costumes from the Wizard World 2014 Minneapolis Comic Con go here! Why did her friend have to be called trashy? Taking picture of women just so you can degrade them is not cool. Did you look at the picture? I didn’t call the woman herself trashy. Everyone had a great time playing their characters whether it was a villian, femme fatale or even a trashy girl. It’s called Cosplay or Costume Play so some people become superheroes and others play more seedy characters but all in good fun. Sorry but no one was degraded and the little “;)” winkie means the comment is not to be taken seriously.